Want to earn money for travelling by trains? Insinc encourages participants to shift their commute schedules on the Singapore rail system away from overcrowded peak times. 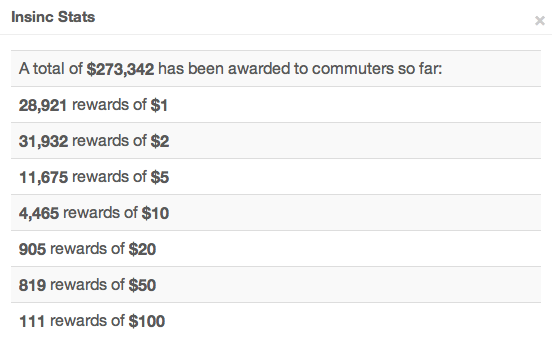 The more commuters participate in Insinc, the more opportunities they will have to receive random rewards. Insinc aims to reduce crowded trains by distributing the load, resulting in a more efficient use of Singapore's transportation resources — a win-win for commuters and for the environment! 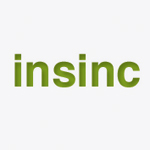 Working with Singapore's Land Transport Authority (LTA), researchers from Stanford University and the National University of Singapore are launching Insinc in 2012 to study the effects of incentives and social interaction on public transit commuting. With the end of the pilot trial in Jul 2012, LTA has appointed Transit Link Pte. Ltd (TL) as their operating agent to continue the Insinc study for another 18 months. They are really giving out money! All you need to do is click on this link, sign up, and you will start of with 500credits! And for every kilometer you travel by train, you will be given credits. Using those credits you can have the chance of winning $1-$100 by playing their board game! It's like earning rebates for travelling by train! Good right?